When Venus retrograde hits you like. Thanks to recent popular culture, we’ve been conditioned to think associate astrological retrogrades with complete and utter chaotic destruction. Mercury retrograde hits? Might as well set your computer on fire, because when Mercury, the planet that rules communication and technology goes into retro, it’s not going to work anyways. And good luck communicating with the people around you, your tongue is basically gonna fall out because #mercretro. Mars retrograde means you’re gonna pick a fight with every single person you come into contact with, so check yourself. And Venus retrograde … oh, lawd only knows what kinda mess that’ll bring to your love life. But. You know better than that, right? We’ve talked before about how Mercury retrograde isn’t necessarily a death sentence for your electronic devices, or your healthy lines of communication. Rather, retrogrades are a time to re-visit, re-assess, re-evaluate. Depending on the planet in retrograde, the aspects that you’re regarding will change. Which leads us to Venus retrograde. Listen. I’m a Pisces Sun. With a Pisces in Venus. I’m not gonna lie to you, when I heard my ruling planet was going retro, I got a little nervous. Especially because Venus is, duh, the ruler of love, romance, and friendships—and I have no interested in being a loner who doesn’t get laid for the next three months. So what’s an earth-bound entity who’s influenced by the planetary aspects above to do? Thankfully, Vedic astrologer Tulsi Bagnoli knows what to do, and was happy to guide us through how to survive (dare we say, thrive!?) the next few months of Venus retrograde. Keep scrolling to learn more Vedic astrology, key dates to pay attention to during Venus retro, and a ritual you can perform during this auspicious time. First, what's the biggest difference between Vedic astrology and more Western-centric astrology? What is the significance of Venus Retrograde in Vedic Astrology? 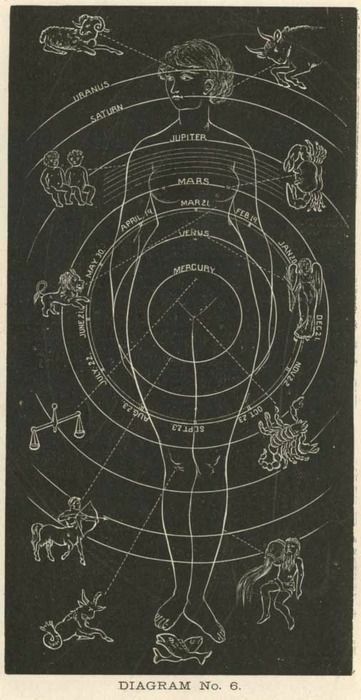 Venus retrograde is currently happening in the sign of Libra and within the system of Vedic astrology this time is all about deep diving into the self and re-evaluating the parts of your lives and relationships that are seeking attention. Reflecting on what’s working and what’s not. It is a time to take a pause, slow down, reflect, speak kindly to each other, be patient and remember that we’re in this together. What needs to move or change to bring about more balance and harmony around these areas of your life? Especially in the field of relationships and creativity. The transit of Venus retrograde falls from October 6th until November 16th. People and situations may not be what they appear to be. Take your time and don’t be impulsive. Be forgiving to your various loved ones, friends and relations. On October 14/15 be mindful of how you’re communicating with your partner as there can be miscommunications. This retrogression can create a positive influence for whatever matters Libra signifies in your personal horoscope. To reveal more about how this transit directly relates to you, we would need to take a deeper look into your Vedic chart. If you had to give us a mantra for this retrograde, what would it be? This mantra can also be chanted throughout Venus’s stay in Libra (Until January 1st). How do you roll with the retrograde? Any rituals or traditions that you would like to implement during this time? This time is all about embodying the qualities of the divine feminine and awakening your creativity. Learn about and meditate on the qualities of Saraswati and Lakshmi, the Goddesses associated with this transit and Venus. You can also chant Lakshmi mantras on Fridays or even wear Lotus essential oil. It is a time to be generous and give unconditionally, especially towards women in your life. Be creative and choose to move through the world from your heart verses your mind.